After 192 episodes and millions of downloads, Polygon's Quality Control is going on hiatus. To celebrate we brought back creator Justin McElroy. Until the next time we've got a game, a movie, or anything at all to talk about, thanks to you at home for listening. Polygon's review of Battlefield 5. An audiobook version of Polygon's Pokémon: Let's Go! review. This week on Polygon’s Quality Control podcast, we’re joined by Jenna Stoeber and Tara Long. Between the two of them, they’ve spent dozens of hours in the Fallout 76 beta, so who better to bring onto the show to discuss it. Charlie Hall sits down with Polygon's senior reporter Colin Campbell to discuss the latest game from indie developer Lucas Pope, Return of the Obra Dinn. All about Red Dead Redemption 2. In this week’s Quality Control podcast, we discuss the newest edition to the Call of Duty franchise, a battle royale mode called Blackout. It’s available as part of Call of Duty: Black Ops 4. At a glance, it looks like many other battle royale games on the market. But, in motion, there’s a lot more nuance to the experience. I sat down with our Austen Goslin. Between the two of us, we’ve spent hundreds of hours inside PlayerUnknown’s Battlegrounds and Fortnite, but also precursor games in the Call of Duty series. You can listen to the entire conversation below or on your podcast service of choice. We’ve also highlighted a few parts of the conversation and broken them out in the transcript below. Read our review, already in progress. This week on Polygon’s Quality Control podcast, Mike McWhertor joins Dave Tach to discuss Mega Man 11, which is available now on Nintendo Switch, PlayStation 4, Xbox One and Windows. In this episode, you’ll learn about Mega Man lore, how Mike played the game — and what Capcom seems to have figured out across a bunch of franchises lately. Much of the discussion centers around what Mike wrote recently in his Mega Man 11 review. What is the best starting Pokémon? At the beginning of every Pokémon game, players must make a Sohpie’s Choice-like decision to ally themselves with a single, cuddly fighting animal. While their stable will undoubtedly expand, it is that creature who will be their intimate companion on the long road to becoming the very best. Like no one ever was. Today’s formal debate brings three Pokémon experts to the fore, including Polygon’s Allegra Frank and Ryan Gilliam as well as The Verge’s Megan Farokhmanesh. They will each make their case for one of the three iconic starting Pokémon: Charmander, Squirtle, and Bulbasaur. Later this week, Polygon will also publish passionate analyses of each of these starting Pokémon. Then, next week on our official Twitter account, you will be able to make your voices heard with a final vote. This week on Polygon’s Quality Control podcast, Chris Plante and Dave Tach join host Charlie Hall to discuss Shadow of the Tomb Raider. How did the franchise get to now, and what's it like to play through an introspective look at the narrative roots of Lara Croft herself? You can read Polygon's full review right here. This week on Polygon’s Quality Control podcast, Chelsea Stark joins Dave Tach to discuss Spider-Man on PS4. In this episode, you’ll learn about why Chelsea and Dave like the game so much, even if they come just short of loving it. Much of the discussion centers around what Chelsea wrote recently in her Spider-Man review. Ryan Gilliam returns to Quality Control, joining Dave Tach to talk about Destiny 2: Forsaken. In this episode of Quality Control, Chris Plante and Charlie Hall explain the future of Polygon's reviews. Games have changed since we launched Polygon. We’re changing with them. We believe that a new strategy, focusing on criticism and curation, will better serve our readers than the serviceable, but ultimately limited reviews rubric that, for decades, has served as a load-bearing pillar of most game publications. In this week’s episode of Quality Control, Dave Tach and first-time guest and World of Warcraft veteran World of Warcraft: Battle for Azeroth. This week, you’ll learn about Ryan’s history with the game, which doesn’t span from vanilla WoW, but still lets him say things like, “back in my day.” A lot of our discussion centers around what Ryan wrote recently in his review, “Battle for Azeroth continues World of Warcraft’s legacy as an excellent, but safe MMO,” where he wrote: "World of Warcraft: Battle for Azeroth has been given the unfortunate task of following up Legion, one of the best received World of Warcraft expansions in the last decade. Where Legion saw players go to space and fight hordes of demons, Battle for Azeroth brings the conflict back to Warcraft’s core: the Horde versus the Alliance in all-out war. "Thankfully for World of Warcraft players, Battle for Azeroth does almost everything right, and even succeeds in places where Legion failed. But in other cases, the expansion is left feeling a bit safe compared to its predecessor." Press play to hear about the good and the bad and the incomplete. This latest incarnation of the Monster Hunter franchise carved off many of the series traditional rough edges, but the console version for PlayStation 4 and Xbox One didn’t always impress fans with its performance. The PC version, which launched more than six months later, has been a fixture on the Steam best seller’s list all month long. Patrick is our resident expert, so we wanted to ask him about his experience and also talk about starting out on PC for the first time. In this week’s episode of Quality Control, Charlie Hall and Allegra Frank talk about Pokémon Go Fest 2018, which ran without a hitch, unlike last year. In this week’s episode, Dave Tach and Michael McWhertor talk about Mike's Captain Toad: Treasure Tracker review. Press play to learn more about the game’s history and what you get with the new versions on Switch and Nintendo 3DS (spoiler: not a whole lot, but some of it seems cool). Stick around to find out just what it is about this little game that keeps Mike coming back. In this week’s episode of Quality Control, Dave Tach and Russ Frushtick talk about Red Faction: Guerrilla Re-Mars-tered (which is the remastered version of Red Faction: Guerrilla). Red Faction: Guerrilla is basically the definition of a cult classic — a game that didn’t quite break into the mainstream but gained a devoted following, including from Dave and Russ. Press play below to learn more about what makes this game so special, despite its drab (but justified!) appearance. In this week’s episode of Quality Control, Dave Tach and Russ Frushtick talk about Westworld Season 2. In this spoiler-filled episode, you’ll find out why Dave’s mad at Dolores, why Russ didn’t quite connect with the first season (but Dave super did), and why Westworld reminds us of Lost (which is a good thing) and the Matrix trilogy (which is a less good thing). In each episode of Quality Control, a Polygon writer talks to a critic about a new game, movie or piece of gear. In this week’s special episode, Charlie Hall invites Polygon’s executive editor Chris Plante and Kotaku’s news editor Jason Schreier to preview this year’s E3, which kicks off next week in Los Angeles. In each episode of Quality Control, a Polygon editor talks to a critic about a new game, movie or piece of gear. In this episode, Susana Polo and Dave Tach talk about Deadpool 2, the X-Force, Cable’s bizarre backstory and the future of the MCU. In each episode of Quality Control, a Polygon editor talks to a critic about a new game, movie or piece of gear. In this week’s episode, Charlie Hall and Dave Tach talk about the state of Destiny 2 in the wake of the Warmind expansion. In each episode of Quality Control, a Polygon editor talks to a critic after they review a new game, movie or piece of gear and allows them to add a little bit of extra context and insight. Why did they feel the way they did? What do they wish they had been able to discuss in more depth in their review? This week, Polygon's Susana Polo and Dave Tach discuss Avengers: Infinity War. In each episode of Quality Control, a Polygon editor talks to a critic after they review a new game, movie or piece of gear and allows them to add a little bit of extra context and insight. Why did they feel the way they did? What do they wish they had been able to discuss in more depth in their review? Also: Did they play it wrong? This week, Polygon's Simone de Rochefort and Brian Gilbert stop by to discuss their time with the Nintendo Labo line of games. In each episode of Quality Control, a Polygon editor talks to a critic after they review a new game, movie or piece of gear and allows them to add a little bit of extra context and insight. Why did they feel the way they did? What do they wish they had been able to discuss in more depth in their review? Also: Did they play it wrong? This week, Polygon's Dave Tach joins host Charlie Hall to discuss God of War. Also, be sure to read Polygon's review, written by Chris Plante. In each episode of Quality Control, a Polygon editor talks to a critic after they review a new game, movie or piece of gear and allows them to add a little bit of extra context and insight. Why did they feel the way they did? What do they wish they had been able to discuss in more depth in their review? Also: Did they play it wrong? This week, Polygon's Ross Miller joins host Charlie Hall to discuss Ready Player One. In each episode of Quality Control, a Polygon editor talks to a critic after they review a new game, movie or piece of gear and allows them to add a little bit of extra context and insight. Why did they feel the way they did? What do they wish they had been able to discuss in more depth in their review? Also: Did they play it wrong? This week, Polygon's Ben Kuchera joins host Charlie Hall to discuss the first few hours of Far Cry 5. In each episode of Quality Control, a Polygon editor talks to a critic after they review a new game, movie or piece of gear and allows them to add a little bit of extra context and insight. Why did they feel the way they did? What do they wish they had been able to discuss in more depth in their review? Also: Did they play it wrong? This week, Polygon's Russ Frushtick joins co-host Dave Tach to discuss his time with Sea of Thieves. In each episode of Quality Control, a Polygon editor talks to a critic after they review a new game, movie or piece of gear and allows them to add a little bit of extra context and insight. Why did they feel the way they did? What do they wish they had been able to discuss in more depth in their review? Also: Did they play it wrong? This week, deputy new editor Allegra Frank joins host Charlie Hall to discuss her time with Where The Water Tastes Like Wine. In each episode of Quality Control, a Polygon editor talks to a critic after they review a new game, movie or piece of gear and allows them to add a little bit of extra context and insight. Why did they feel the way they did? What do they wish they had been able to discuss in more depth in their review? Also: Did they play it wrong? This week, Mike McWherter joins guest host Dave Tach to discuss his review of Metal Gear Survive. In each episode of Quality Control, a Polygon editor talks to a critic after they review a new game, movie or piece of gear and allows them to add a little bit of extra context and insight. Why did they feel the way they did? What do they wish they had been able to discuss in more depth in their review? Also: Did they play it wrong? This week, Polygon’s editor-in-chief Chris Grant joins host Charlie Hall to discuss his review of the Analog NT, which you can read right here. In each episode of Quality Control, a Polygon editor talks to a critic after they review a new game, movie or piece of gear and allows them to add a little bit of extra context and insight. Why did they feel the way they did? What do they wish they had been able to discuss in more depth in their review? Also: Did they play it wrong? This week, Polygon’s Jeff Ramos joins editor-at-large Justin McElroy to discuss his review of Dragon Ball FighterZ. In each episode of Quality Control, a Polygon editor talks to a critic after they review a new game, movie or piece of gear and allows them to add a little bit of extra context and insight. Why did they feel the way they did? What do they wish they had been able to discuss in more depth in their review? Also: Did they play it wrong? This week, Polygon’s Chris Plante joins editor-at-large Justin McElroy to discuss his review of PlayerUnknown’s Battlegrounds. In each episode of Quality Control, a Polygon editor talks to a critic after they review a new game, movie or piece of gear and allows them to add a little bit of extra context and insight. Why did they feel the way they did? What do they wish they had been able to discuss in more depth in their review? Also: Did they play it wrong? This week, Polygon’s Samit Sarkar joins editor-at-large Justin McElroy to discuss his review of the Xbox One X. 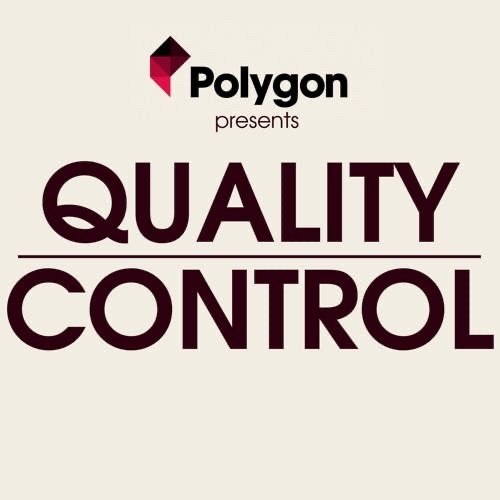 In each episode of Quality Control, a Polygon editor talks to a critic after they review a new game, movie or piece of gear and allows them to add a little bit of extra context and insight. Why did they feel the way they did? What do they wish they had been able to discuss in more depth in their review? Also: Did they play it wrong? This week, Polygon’s Chris Plante joins editor-at-large Justin McElroy to discuss his review of Horizon Zero Dawn: The Frozen Wilds. In each episode of Quality Control, a Polygon editor talks to a critic after they review a new game, movie or piece of gear and allows them to add a little bit of extra context and insight. Why did they feel the way they did? What do they wish they had been able to discuss in more depth in their review? Also: Did they play it wrong? This week, Polygon’s Allegra Frank joins editor-at-large Justin McElroy to discuss her review of Super Mario Odyssey. In each episode of Quality Control, a Polygon editor talks to a critic after they review a new game, movie or piece of gear and allows them to add a little bit of extra context and insight. Why did they feel the way they did? What do they wish they had been able to discuss in more depth in their review? Also: Did they play it wrong? This week, Polygon’s Chris Grant joins editor-at-large Justin McElroy to discuss his update to our review of Sega Genesis Flashback. In each episode of Quality Control, a Polygon editor talks to a critic after they review a new game, movie or piece of gear and allows them to add a little bit of extra context and insight. Why did they feel the way they did? What do they wish they had been able to discuss in more depth in their review? Also: Did they play it wrong? This week, Polygon’s Chris Plante joins editor-at-large Justin McElroy to discuss his update to our review of Cuphead. In each episode of Quality Control, a Polygon editor talks to a critic after they review a new game, movie or piece of gear and allows them to add a little bit of extra context and insight. Why did they feel the way they did? What do they wish they had been able to discuss in more depth in their review? Also: Did they play it wrong? This week, Polygon’s Russ Frushtick joins editor-at-large Justin McElroy to discuss his updated to our review of Destiny 2. In each episode of Quality Control, a Polygon editor talks to a critic after they review a new game, movie or piece of gear and allows them to add a little bit of extra context and insight. Why did they feel the way they did? What do they wish they had been able to discuss in more depth in their review? Also: Did they play it wrong? This week, Polygon’s Samit Sarkar joins editor-at-large Justin McElroy to discuss his review of Destiny 2. In each episode of Quality Control, a Polygon editor talks to a critic after they review a new game, movie or piece of gear and allows them to add a little bit of extra context and insight. Why did they feel the way they did? What do they wish they had been able to discuss in more depth in their review? Also: Did they play it wrong? This week, Polygon’s Jeff Ramos joins editor-at-large Justin McElroy to discuss his review of LawBreakers. In each episode of Quality Control, a Polygon editor talks to a critic after they review a new game, movie or piece of gear and allows them to add a little bit of extra context and insight. Why did they feel the way they did? What do they wish they had been able to discuss in more depth in their review? Also: Did they play it wrong? This week, Polygon’s Phil Kollar joins editor-at-large Justin McElroy to discuss his review of Uncharted: The Lost Legacy. In each episode of Quality Control, a Polygon editor talks to a critic after they review a new game, movie or piece of gear and allows them to add a little bit of extra context and insight. Why did they feel the way they did? What do they wish they had been able to discuss in more depth in their review? Also: Did they play it wrong? This week, Polygon’s Charlie Hall joins editor-at-large Justin McElroy to discuss his review of Fortnite. In each episode of Quality Control, a Polygon editor talks to a critic after they review a new game, movie or piece of gear and allows them to add a little bit of extra context and insight. Why did they feel the way they did? What do they wish they had been able to discuss in more depth in their review? Also: Did they play it wrong? This week, Polygon’s Allegra Frank joins editor-at-large Justin McElroy to discuss her review of Tacoma. In each episode of Quality Control, a Polygon editor talks to a critic after they review a new game, movie or piece of gear and allows them to add a little bit of extra context and insight. Why did they feel the way they did? What do they wish they had been able to discuss in more depth in their review? Also: Did they play it wrong? This week, Polygon’s Chelsea Stark joins editor-at-large Justin McElroy to discuss her review of Splatoon 2. In each episode of Quality Control, a Polygon editor talks to a critic after they review a new game, movie or piece of gear and allows them to add a little bit of extra context and insight. Why did they feel the way they did? What do they wish they had been able to discuss in more depth in their review? Also: Did they play it wrong? This week, guest host Charlie Hall talks to Ashley Oh about her review of Crash Bandicoot N. Sane Trilogy. In each episode of Quality Control, a Polygon editor talks to a critic after they review a new game, movie or piece of gear and allows them to add a little bit of extra context and insight. Why did they feel the way they did? What do they wish they had been able to discuss in more depth in their review? Also: Did they play it wrong? This week, Polygon’s Mike McWhertor joins editor-at-large Justin McElroy to discuss his review of Arms. In each episode of Quality Control, a Polygon editor talks to a critic after they review a new game, movie or piece of gear and allows them to add a little bit of extra context and insight. Why did they feel the way they did? What do they wish they had been able to discuss in more depth in their review? Also: Did they play it wrong? This week, Polygon’s Phil Kollar joins editor-at-large Justin McElroy to discuss his review of The Surge. In each episode of Quality Control, a Polygon editor talks to a critic after they review a new game, movie or piece of gear and allows them to add a little bit of extra context and insight. Why did they feel the way they did? What do they wish they had been able to discuss in more depth in their review? Also: Did they play it wrong? This week, Polygon’s Arthur Gies joins editor-at-large Justin McElroy to discuss his review of Prey. In each episode of Quality Control, a Polygon editor talks to a critic after they review a new game, movie or piece of gear and allows them to add a little bit of extra context and insight. Why did they feel the way they did? What do they wish they had been able to discuss in more depth in their review? Also: Did they play it wrong? This week, Polygon’s Susana Polo joins editor-at-large Justin McElroy to discuss her review of Guardians of the Galaxy Vol. 2. In each episode of Quality Control, a Polygon editor talks to a critic after they review a new game, movie or piece of gear and allows them to add a little bit of extra context and insight. Why did they feel the way they did? What do they wish they had been able to discuss in more depth in their review? Also: Did they play it wrong? This week, Polygon’s Phil Kollar joins editor-at-large Justin McElroy to discuss his review of Persona 5. In each episode of Quality Control, a Polygon editor talks to a critic after they review a new game, movie or piece of gear and allows them to add a little bit of extra context and insight. Why did they feel the way they did? What do they wish they had been able to discuss in more depth in their review? Also: Did they play it wrong? This week, Polygon’s Phil Kollar joins editor-at-large Justin McElroy to discuss his review of Horizon: Zero Dawn. In each episode of Quality Control, a Polygon editor talks to a critic after they review a new game, movie or piece of gear and allows them to add a little bit of extra context and insight. Why did they feel the way they did? What do they wish they had been able to discuss in more depth in their review? Also: Did they play it wrong? In this episode, Polygon editor-at-large Justin McElroy talks with Christopher Grant and Ashley Oh about their takes on Polygon's top games of 2016. In each episode of Quality Control, a Polygon editor talks to a critic after they review a new game, movie or piece of gear and allows them to add a little bit of extra context and insight. Why did they feel the way they did? What do they wish they had been able to discuss in more depth in their review? Also: Did they play it wrong? In this episode, Polygon editor-at-large Justin McElroy talks with Allegra Frank and Samit Sarkar to talk about their favorite games of the year. In each episode of Quality Control, a Polygon editor talks to a critic after they review a new game, movie or piece of gear and allows them to add a little bit of extra context and insight. Why did they feel the way they did? What do they wish they had been able to discuss in more depth in their review? Also: Did they play it wrong? For this special two-part episode, guest host Charlie Hall talks with entertainment editor Susana Polo about her review of Rogue One: A Star Wars Story. They're joined by Polygon's Dave Tach and Jeff Ramos. Polygon reviews editor Arthur Gies sits down with guest host Charlie Hall to discuss Recore, the latest release for Windows PC and Xbox One from Armature Games and Keiji Inafune’s Comcept Inc. You can read our full review here: http://www.polygon.com/2016/9/12/12886642/recore-review-xbox-one-windows-10-PC Note that we had some audio issues with Arthur's channel. We've cleaned it up as best we can, and with luck it's not too troublesome for you. We'll be back to normal next episode. Janine Hawkins discusses her review of Metroid Prime: Federation Force. In each episode of Quality Control, Polygon editor-at-large Justin McElroy talks to a critic after they review a new game, movie or piece of gear and allows them to add a little bit of extra context and insight. Why did they feel the way they did? What do they wish they had been able to discuss in more depth in their review? Also: Did they play it wrong? In each episode of Quality Control, Polygon editor-at-large Justin McElroy talks to a critic after they review a new game, movie or piece of gear and allows them to add a little bit of extra context and insight. Why did they feel the way they did? What do they wish they had been able to discuss in more depth in their review? Also: Did they play it wrong? In this episode, we talk with Arthur Gies about his review of Headlander. In each episode of Quality Control, Polygon editor-at-large Justin McElroy talks to a critic after they review a new game, movie or piece of gear and allows them to add a little bit of extra context and insight. Why did they feel the way they did? What do they wish they had been able to discuss in more depth in their review? Also: Did they play it wrong? In this episode, we talk with Nick Robinson about his review of Inside. In each episode of Quality Control, Polygon editor-at-large Justin McElroy talks to a critic after they review a new game, movie or piece of gear and allows them to add a little bit of extra context and insight. Why did they feel the way they did? What do they wish they had been able to discuss in more depth in their review? Also: Did they play it wrong? In this episode, we talk with Arthur Gies about his review of Mirror's Edge: Catalyst. In each episode of Quality Control, Polygon editor-at-large Justin McElroy talks to a critic after they review a new game, movie or piece of gear and allows them to add a little bit of extra context and insight. Why did they feel the way they did? What do they wish they had been able to discuss in more depth in their review? Also: Did they play it wrong? In this episode, we talk with Russ Frushtick about his review of Overwatch. In each episode of Quality Control, Polygon editor-at-large Justin McElroy talks to a critic after they review a new game, movie or piece of gear and allows them to add a little bit of extra context and insight. Why did they feel the way they did? What do they wish they had been able to discuss in more depth in their review? Also: Did they play it wrong? In this episode, we talk with Russ Frushtick about their review of Homefront: The Revolution which you can find right here. In each episode of Quality Control, Polygon editor-at-large Justin McElroy talks to a critic after they review a new game, movie or piece of gear and allows them to add a little bit of extra context and insight. Why did they feel the way they did? What do they wish they had been able to discuss in more depth in their review? Also: Did they play it wrong? In this episode, we talk with Griffin McElroy about their review of Uncharted 4: A Thief's End. In each episode of Quality Control, Polygon editor-at-large Justin McElroy talks to a critic after they review a new game, movie or piece of gear and allows them to add a little bit of extra context and insight. Why did they feel the way they did? What do they wish they had been able to discuss in more depth in their review? Also: Did they play it wrong? In this episode, we talk with Julia Alexander about her review of Captain America: Civil War. In each episode of Quality Control, Polygon editor-at-large Justin McElroy talks to a critic after they review a new game and allows them to add a little bit of extra context and insight. Why did they feel the way they did? What do they wish they had been able to discuss in more depth in their review? Also: Did they play it wrong? In this episode, Griffin McElroy takes over as guest host to talk with Justin about his review of Severed. In each episode of Quality Control, Polygon editor-at-large Justin McElroy talks to a critic after they review a new game and allows them to add a little bit of extra context and insight. Why did they feel the way they did? What do they wish they had been able to discuss in more depth in their review? Also: Did they play it wrong? In this episode, we talk with Ben Kuchera about his review of the HTC Vive. In each episode of Quality Control, Polygon editor-at-large Justin McElroy talks to a critic after they review a new game and allows them to add a little bit of extra context and insight. Why did they feel the way they did? What do they wish they had been able to discuss in more depth in their review? Also: Did they play it wrong? In this episode, we talk with Phil Kollar about his review of Dark Souls 3. In each episode of Quality Control, Polygon editor-at-large Justin McElroy talks to a critic after they review a new game and allows them to add a little bit of extra context and insight. Why did they feel the way they did? What do they wish they had been able to discuss in more depth in their review? Also: Did they play it wrong? In this episode, Griffin McElroy steps in as host to talk with Justin about his review of Adrift. In each episode of Quality Control, Polygon editor-at-large Justin McElroy talks to a critic after they review a new game and allows them to add a little bit of extra context and insight. Why did they feel the way they did? What do they wish they had been able to discuss in more depth in their review? Also: Did they play it wrong? In this episode, we talk with Ben Kuchera about his review of the Oculus Rift. In each episode of Quality Control, Polygon editor-at-large Justin McElroy talks to a critic after they review a new game and allows them to add a little bit of extra context and insight. Why did they feel the way they did? What do they wish they had been able to discuss in more depth in their review? Also: Did they play it wrong? In this episode, we talk with Allegra Frank about her review of Digimon Story: Cyber Sleuth. In each episode of Quality Control, Polygon editor-at-large Justin McElroy talks to a critic after they review a new game and allows them to add a little bit of extra context and insight. Why did they feel the way they did? What do they wish they had been able to discuss in more depth in their review? Also: Did they play it wrong? In this episode, we talk with Griffin McElroy about his review of The Legend of Zelda: Twilight Princess. In each episode of Quality Control, Polygon editor-at-large Justin McElroy talks to a critic after they review a new game and allows them to add a little bit of extra context and insight. Why did they feel the way they did? What do they wish they had been able to discuss in more depth in their review? Also: Did they play it wrong? In this episode, we talk with Griffin McElroy and Allegra Frank about their review of Fire Emblem Fates. In each episode of Quality Control, Polygon editor-at-large Justin McElroy talks to a critic after they review a new game and allows them to add a little bit of extra context and insight. Why did they feel the way they did? What do they wish they had been able to discuss in more depth in their review? Also: Did they play it wrong? In this episode, Dave Tach takes over hosting to talk with Justin about hist review of Far Cry Primal. In each episode of Quality Control, Polygon editor-at-large Justin McElroy talks to a critic after they review a new game and allows them to add a little bit of extra context and insight. Why did they feel the way they did? What do they wish they had been able to discuss in more depth in their review? Also: Did they play it wrong? In this episode, we talk with Colin Campbell about his review of Firewatch. In each episode of Quality Control, Polygon editor-at-large Justin McElroy talks to a critic after they review a new game and allows them to add a little bit of extra context and insight. Why did they feel the way they did? What do they wish they had been able to discuss in more depth in their review? Also: Did they play it wrong? As part of their 2015 game of the year series, Justin McElroy discusses Polygon's #6 GOTY: Destiny: The Taken King. In each episode of Quality Control, Polygon editor-at-large Justin McElroy talks to a critic after they review a new game and allows them to add a little bit of extra context and insight. Why did they feel the way they did? What do they wish they had been able to discuss in more depth in their review? Also: Did they play it wrong? As part of their 2015 game of the year series, Allegra Frank discusses Polygon's #7 GOTY: Life Is Strange. In each episode of Quality Control, Polygon editor-at-large Justin McElroy talks to a critic after they review a new game and allows them to add a little bit of extra context and insight. Why did they feel the way they did? What do they wish they had been able to discuss in more depth in their review? Also: Did they play it wrong? As part of their 2015 game of the year series, they're discussing their #8 GOTY: Soma. We've got a special series of Quality Control episodes for you featuring Polygon's Games of the Year. We begin today with #10: Rocket League, featuring Charlie Hall. In each episode of Quality Control, Polygon editor-at-large Justin McElroy talks to a critic after they review a new game and allows them to add a little bit of extra context and insight. Why did they feel the way they did? What do they wish they had been able to discuss in more depth in their review? Also: Did they play it wrong? In this episode, we talk with Arthur Gies about his review of Rainbow Six Siege. In each episode of Quality Control, Polygon editor-at-large Justin McElroy talks to a critic after they review a new game and allows them to add a little bit of extra context and insight. Why did they feel the way they did? What do they wish they had been able to discuss in more depth in their review? Also: Did they play it wrong? In this episode, we talk with Ben Kuchera about hist review of Just Cause 3. In each episode of Quality Control, Polygon editor-at-large Justin McElroy talks to a critic after they review a new game and allows them to add a little bit of extra context and insight. Why did they feel the way they did? What do they wish they had been able to discuss in more depth in their review? Also: Did they play it wrong? In this episode, we talk with Dave Tach about his co-review of Star Wars Battlefront. In each episode of Quality Control, Polygon editor-at-large Justin McElroy talks to a critic after they review a new game and allows them to add a little bit of extra context and insight. Why did they feel the way they did? What do they wish they had been able to discuss in more depth in their review? Also: Did they play it wrong? In this episode, we talk with Arthur Gies about his review of Fallout 4. In each episode of Quality Control, Polygon editor-at-large Justin McElroy talks to a critic after they review a new game and allows them to add a little bit of extra context and insight. Why did they feel the way they did? What do they wish they had been able to discuss in more depth in their review? Also: Did they play it wrong? In this episode, we talk with Arthur Gies about his review of Halo 5: Guardians. In each episode of Quality Control, Polygon editor-at-large Justin McElroy talks to a critic after they review a new game and allows them to add a little bit of extra context and insight. Why did they feel the way they did? What do they wish they had been able to discuss in more depth in their review? Also: Did they play it wrong? In this episode, we talk with Griffin McElroy about his review of Rock Band 4. In each episode of Quality Control, Polygon editor-at-large Justin McElroy talks to a critic after they review a new game and allows them to add a little bit of extra context and insight. Why did they feel the way they did? What do they wish they had been able to discuss in more depth in their review? Also: Did they play it wrong? In this episode, guest host Allega Frank speaks with Justin about his review of Transformers Devastation. In each episode of Quality Control, Polygon editor-at-large Justin McElroy talks to a critic after they review a new game and allows them to add a little bit of extra context and insight. Why did they feel the way they did? What do they wish they had been able to discuss in more depth in their review? Also: Did they play it wrong? In this episode, we talk with Samit Sarkar and Griffin McElroy about their review of Destiny: The Taken King. In each episode of Quality Control, Polygon editor-at-large Justin McElroy talks to a critic after they review a new game and allows them to add a little bit of extra context and insight. Why did they feel the way they did? What do they wish they had been able to discuss in more depth in their review? Also: Did they play it wrong? In this episode, we talk with Griffin McElroy about his review of Lovers In A Dangerous Spacetime. In each episode of Quality Control, Polygon editor-at-large Justin McElroy talks to a critic after they review a new game and allows them to add a little bit of extra context and insight. Why did they feel the way they did? What do they wish they had been able to discuss in more depth in their review? Also: Did they play it wrong? In this episode, we talk with Brian Crecente about his review of Disney Infinity 3.0. In each episode of Quality Control, Polygon editor-at-large Justin McElroy talks to a critic after they review a new game and allows them to add a little bit of extra context and insight. Why did they feel the way they did? What do they wish they had been able to discuss in more depth in their review? Also: Did they play it wrong? In this episode, we talk with Griffin McElroy about his review of Super Mario Maker. In each episode of Quality Control, Polygon editor-at-large Justin McElroy talks to a critic after they review a new game and allows them to add a little bit of extra context and insight. Why did they feel the way they did? What do they wish they had been able to discuss in more depth in their review? Also: Did they play it wrong? In this episode, we talk with Mike McWhertor about his review of Metal Gear Solid 5: The Phantom Pain. In each episode of Quality Control, Polygon editor-at-large Justin McElroy talks to a critic after they review a new game and allows them to add a little bit of extra context and insight. Why did they feel the way they did? What do they wish they had been able to discuss in more depth in their review? Also: Did they play it wrong? In this episode, we talk with Griffin McElroy about his review of Galak Z: The Dimensional. In each episode of Quality Control, Polygon editor-at-large Justin McElroy talks to a critic after they review a new game and allows them to add a little bit of extra context and insight. Why did they feel the way they did? What do they wish they had been able to discuss in more depth in their review? Also: Did they play it wrong? In this episode, we talk with Phil Kollar about his review of Tembo the Badass Elephant. In each episode of Quality Control, Polygon editor-at-large Justin McElroy talks to a critic after they review a new game and allows them to add a little bit of extra context and insight. Why did they feel the way they did? What do they wish they had been able to discuss in more depth in their review? Also: Did they play it wrong? In this episode, we talk with Phil Kollar about his review of Splatoon. In each episode of Quality Control, Polygon editor-at-large Justin McElroy talks to a critic after they review a new game and allows them to add a little bit of extra context and insight. Why did they feel the way they did? What do they wish they had been able to discuss in more depth in their review? Also: Did they play it wrong? In this episode, guest host Griffin McElroy talks with Justin McElroy about his review of Wolfenstein: The Old Blood. In each episode of Quality Control, Polygon managing editor Justin McElroy talks to a critic after they review a new game and allows them to add a little bit of extra context and insight. Why did they feel the way they did? What do they wish they had been able to discuss in more depth in their review? Also: Did they play it wrong? In this episode, we talk with Mike McWhertor about his review of Bloodborne. In each episode of Quality Control, Polygon managing editor Justin McElroy talks to a critic after they review a new game and allows them to add a little bit of extra context and insight. Why did they feel the way they did? What do they wish they had been able to discuss in more depth in their review? Also: Did they play it wrong? In this episode, we talk with Mike McWhertor about his review of Mortal Kombat X. In each episode of Quality Control, Polygon managing editor Justin McElroy talks to a critic after they review a new game and allows them to add a little bit of extra context and insight. Why did they feel the way they did? What do they wish they had been able to discuss in more depth in their review? Also: Did they play it wrong? In this episode, we talk with Arthur Gies about his review of Battlefield Hardline. In each episode of Quality Control, Polygon managing editor Justin McElroy talks to a critic after they review a new game and allows them to add a little bit of extra context and insight. Why did they feel the way they did? What do they wish they had been able to discuss in more depth in their review? Also: Did they play it wrong? In this episode Griffin McElroy takes over hosting, as he talks with Justin about his review of Code Name: S.T.E.A.M. In each episode of Quality Control, Polygon managing editor Justin McElroy talks to a critic after they review a new game and allows them to add a little bit of extra context and insight. Why did they feel the way they did? What do they wish they had been able to discuss in more depth in their review? Also: Did they play it wrong? In this episode, we talk with Griffin McElroy about his review of Hotline Miami 2: Wrong Number. In each episode of Quality Control, Polygon managing editor Justin McElroy talks to a critic after they review a new game and allows them to add a little bit of extra context and insight. Why did they feel the way they did? What do they wish they had been able to discuss in more depth in their review? Also: Did they play it wrong? In this episode, we talk with Megan Farokhmanesh about her review of Kirby and the Rainbow Curse. In each episode of Quality Control, Polygon managing editor Justin McElroy talks to a critic after they review a new game and allows them to add a little bit of extra context and insight. Why did they feel the way they did? What do they wish they had been able to discuss in more depth in their review? Also: Did they play it wrong? In this episode, Polygon editor-in-chief Christopher Grant takes over hosting to talk with Justin about his review of The Order: 1886. In each episode of Quality Control, Polygon managing editor Justin McElroy talks to a critic after they review a new game and allows them to add a little bit of extra context and insight. Why did they feel the way they did? What do they wish they had been able to discuss in more depth in their review? Also: Did they play it wrong? In this episode, we talk with Phil Kollar and Griffin McElroy about their review of the New Nintendo 3DS XL. In each episode of Quality Control, Polygon managing editor Justin McElroy talks to a critic after they review a new game and allows them to add a little bit of extra context and insight. Why did they feel the way they did? What do they wish they had been able to discuss in more depth in their review? Also: Did they play it wrong? In this episode, we talk with Griffin McElroy about his review of The Legend of Zelda: Majora's Mask 3D. In each episode of Quality Control, Polygon managing editor Justin McElroy talks to a critic after they review a new game and allows them to add a little bit of extra context and insight. Why did they feel the way they did? What do they wish they had been able to discuss in more depth in their review? Also: Did they play it wrong? In this episode, we talk with Arthur Gies about his review of Dying Light. In each episode of Quality Control, Polygon managing editor Justin McElroy talks to a critic after they review a new game and allows them to add a little bit of extra context and insight. Why did they feel the way they did? What do they wish they had been able to discuss in more depth in their review? Also: Did they play it wrong? In this episode, Griffin McElroy talks with Justin about his review of Saint's Row IV: Gat Out of Hell. In each episode of Quality Control, Polygon managing editor Justin McElroy talks to a critic after they review a new game and allows them to add a little bit of extra context and insight. Why did they feel the way they did? What do they wish they had been able to discuss in more depth in their review? Also: Did they play it wrong? In this episode, we talk with Griffin McElroy about his review of The Crew. In each episode of Quality Control, Polygon managing editor Justin McElroy talks to a critic after they review a new game and allows them to add a little bit of extra context and insight. Why did they feel the way they did? What do they wish they had been able to discuss in more depth in their review? Also: Did they play it wrong? In this episode, we talk with Arthur Gies about his review of Captain Toad: Treasure Tracker. In each episode of Quality Control, Polygon managing editor Justin McElroy talks to a critic after they review a new game and allows them to add a little bit of extra context and insight. Why did they feel the way they did? What do they wish they had been able to discuss in more depth in their review? Also: Did they play it wrong? In this episode, we talk with Griffin McElroy about his review of Super Smash Bros. for Wii U. In each episode of Quality Control, Polygon managing editor Justin McElroy talks to a critic after they review a new game and allows them to add a little bit of extra context and insight. Why did they feel the way they did? What do they wish they had been able to discuss in more depth in their review? Also: Did they play it wrong? In this episode, we talk with Ben Kuchera about his review of Tales from the Borderlands which you can find right here. In each episode of Quality Control, Polygon managing editor Justin McElroy talks to a critic after they review a new game and allows them to add a little bit of extra context and insight. Why did they feel the way they did? What do they wish they had been able to discuss in more depth in their review? Also: Did they play it wrong? In this episode, Griffin McElroy talks with Justin about his review of Far Cry 4. In each episode of Quality Control, Polygon managing editor Justin McElroy talks to a critic after they review a new game and allows them to add a little bit of extra context and insight. Why did they feel the way they did? What do they wish they had been able to discuss in more depth in their review? Also: Did they play it wrong? In this episode, we talk with Griffin McElroy about his review of Pokemon Omega Ruby and Alpha Sapphire. In each episode of Quality Control, Polygon managing editor Justin McElroy talks to a critic after they review a new game and allows them to add a little bit of extra context and insight. Why did they feel the way they did? What do they wish they had been able to discuss in more depth in their review? Also: Did they play it wrong? In this episode, Dave Tach takes over as host to ask Justin about his review of Escape Dead Island. In each episode of Quality Control, Polygon managing editor Justin McElroy talks to a critic after they review a new game and allows them to add a little bit of extra context and insight. Why did they feel the way they did? What do they wish they had been able to discuss in more depth in their review? Also: Did they play it wrong? In this episode, we talk with Arthur Gies about his review of Assassin's Creed Unity. In each episode of Quality Control, Polygon managing editor Justin McElroy talks to a critic after they review a new game and allows them to add a little bit of extra context and insight. Why did they feel the way they did? What do they wish they had been able to discuss in more depth in their review? Also: Did they play it wrong? In this episode, we talk with Phil Kollar about his review of Dragon Age: Inquisition. In each episode of Quality Control, Polygon managing editor Justin McElroy talks to a critic after they review a new game and allows them to add a little bit of extra context and insight. Why did they feel the way they did? What do they wish they had been able to discuss in more depth in their review? Also: Did they play it wrong? In this episode, we talk with Arthur Gies about his review of Halo: The Master Chief Collection. In each episode of Quality Control, Polygon managing editor Justin McElroy talks to a critic after they review a new game and allows them to add a little bit of extra context and insight. Why did they feel the way they did? What do they wish they had been able to discuss in more depth in their review? Also: Did they play it wrong? In this episode, we talk with Arthur Gies about his review of Call of Duty: Advanced Warfare. In each episode of Quality Control, Polygon managing editor Justin McElroy talks to a critic after they review a new game and allows them to add a little bit of extra context and insight. Why did they feel the way they did? What do they wish they had been able to discuss in more depth in their review? Also: Did they play it wrong? In this episode, we talk with Phil Kollar about his review of Lords of the Fallen. In each episode of Quality Control, Polygon managing editor Justin McElroy talks to a critic after they review a new game and allows them to add a little bit of extra context and insight. Why did they feel the way they did? What do they wish they had been able to discuss in more depth in their review? Also: Did they play it wrong? In this episode, we talk with Arthur Gies about his review of Sunset Overdrive. In each episode of Quality Control, Polygon managing editor Justin McElroy talks to a critic after they review a new game and allows them to add a little bit of extra context and insight. Why did they feel the way they did? What do they wish they had been able to discuss in more depth in their review? Also: Did they play it wrong? In this episode, we talk with Colin Campbell about his review of Civilization: Beyond Earth. In each episode of Quality Control, Polygon managing editor Justin McElroy talks to a critic after they review a new game and allows them to add a little bit of extra context and insight. Why did they feel the way they did? What do they wish they had been able to discuss in more depth in their review? Also: Did they play it wrong? In this episode, we talk with Phil Kollar about his review of The Legend of Korra. In each episode of Quality Control, Polygon managing editor Justin McElroy talks to a critic after they review a new game and allows them to add a little bit of extra context and insight. Why did they feel the way they did? What do they wish they had been able to discuss in more depth in their review? Also: Did they play it wrong? In this episode, we talk with Owen Good about his review of NBA 2K15. Today on Quality Control, we talk with Griffin McElroy about his review of Fantasia: Music Evolved. In each episode of Quality Control, Polygon managing editor Justin McElroy talks to a critic after they review a new game and allows them to add a little bit of extra context and insight. Why did they feel the way they did? What do they wish they had been able to discuss in more depth in their review? Also: Did they play it wrong? In this episode, we talk with Phil Kollar about his review of A City Sleeps which you can find right here. In each episode of Quality Control, Polygon managing editor Justin McElroy talks to a critic after they review a new game and allows them to add a little bit of extra context and insight. Why did they feel the way they did? What do they wish they had been able to discuss in more depth in their review? Also: Did they play it wrong? In this episode, we talk with Britton Peele about hist review of Styx: Master of Shadows. Our podcast, Quality Control, is a pretty simple idea. In each episode, Polygon managing editor Justin McElroy talks to a critic after they review a new game and allows them to add a little bit of extra context and insight. Why did they feel the way they did? What do they wish they had been able to discuss in more depth in their review? Also: Did they play it wrong? In this episode, we talk with Megan Farokhmanesh about her review of Murasaki Baby. Our podcast, Quality Control, is a pretty simple idea. In each episode, Polygon managing editor Justin McElroy talks to a critic after they review a new game and allows them to add a little bit of extra context and insight. Why did they feel the way they did? What do they wish they had been able to discuss in more depth in their review? Also: Did they play it wrong? Griffin McElroy talks about his review for Super Smash Bros. for 3DS ... and throws out a challenge to those foolish enough to challenge him.